Pete’s Pride is a volunteer initiative that helps Youngstown State University recruit new students, mentor current students and engage recent graduates. With over 1,500 volunteers and more than 6,500 hours served, volunteers assist with enrollment, career development and community outreach efforts at YSU. Membership is open to YSU alumni, former students, parents of students, faculty, staff and interested community members. Volunteer opportunities exist for those living outside of the Youngstown area, as well as Mahoning Valley residents. The time commitment is at the volunteer’s discretion. You can help YSU continue to grow and thrive! All YSU polos and dress shirts are appropriate for all volunteer opportunities. Find yours at the YSU Bookstore website or at the Bookstore on campus. Pete's Pride members from Colorado and Texas have joined the new Postcard Writing Campaign. 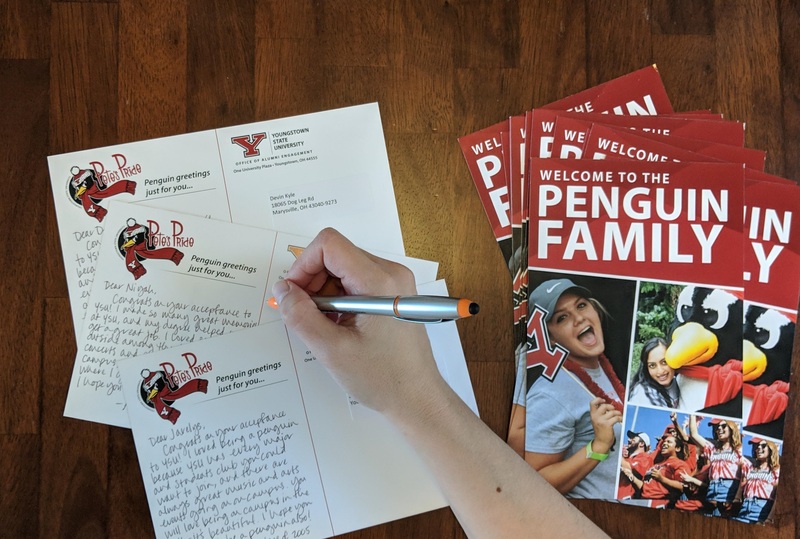 You can make a difference from wherever you are by sharing why you love YSU with prospective students, and why they will too! Are you part of the Pride or interested in becoming a member? 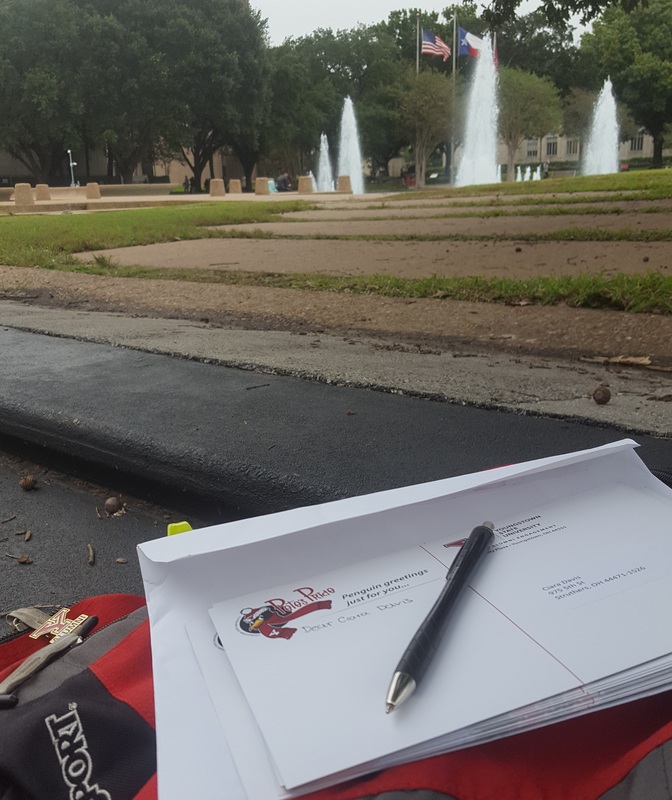 The Pete’s Pride newsletter is a great way to keep up with the group, find out what's happening and learn how you can get involved. The newsletter is sent to members via email every 8-12 weeks. Join Pete’s Pride to receive the newsletter. You can also follow us on Facebook and LinkedIN - look for "YSU Pete's Pride" - and follow @ysualumni on Twitter. On February 10, the YSU community and former Youngstown - area residents gathered in Sarasota, FL to celebrate their Youngstown roots. Pete's Pride members Patty Adams '70, Henri Hall '71, Evelyn Mangie '84 & 87, Richard '64 and Bobbi Spong, and Tom '57 and Kathy Szush assisted with checking in over 400 guests.